Now it is easy to write Bangla in Ubuntu and you will learn how to install Bengali keyboard software to write Bangla in Linux OS step by step. I assume, you have done typing Bengali in Windows OS with Bijoy Bayanno or Avro before using Ubuntu and you have done connecting your PC with interment. 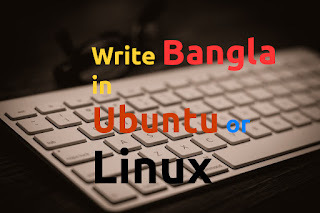 Do you know that there has minimum 3 way to write Bengali in Ubuntu? 3. By using Bijoy Ekushey. Now you will see how can you do install any of them and use to type in Bengali. To install Unijoy on Ubuntu open your terminal via CTRL, ALT, and T from your keyboard. Just copy the command and paste on the terminal by clicking right button on mouse and option 'paste' and next run this command by pressing Enter from your keyboard. After running this command, terminal required the password of your PC to access. Give password, though it will not show on the terminal field you have to give you an 'Enter'. Wait until finishing download file. If done, then copy the following command and paste on Terminal. Run this command by pressing Enter button. This command will verify that unijoy is already on your pc. After finishing verify, you have done install Unijoy. But it won't show on Keyboard Layout> Text Entry Setting. To show this you have to complete next step. Copy the following command and run this in the terminal. You have finished installing Unijoy! Now go to 'Text Entry Setting' and click on '+' sign which in the bottom. Then search unijoy and select Bengali (unijoy (m17n)). Just this. Now write Bengali in Ubuntu 14.04 LTS. If you want to write avro style which you have done in Android with Ridmik and in Windows with Avro, then you have must install ibus-avro. The installing method of this is similar Unijoy, though have some difference. Step First, You have to add ibus-avro repository in your ubuntu. To make this just copy the following command and run it on your keyboard. sudo add-apt-repository "deb http://download.opensuse.org/repositories/home:/sarimkhan/xUbuntu_14.04/ ./"
Step Second, You have to add key by running the following command on Terminal. Step Third, you should update package list to access exact required file to install this software. To do this run the command. Step Five, Now finalize installing by running this command. You have installed ibus-avro. To activate this software you have to restart your computer and then go to 'Text Entry Setting' and click on '+' sign. Then search for 'avro' and add this on your keyboard. You have finished and enjoy Avro. 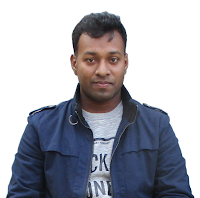 To install Bijoy Ekushey you must to contact with its author as it isn't open source as Unijoy and Avro. Details here. Wow! Now Bijoy Ekushe for Linux (Ubuntu, Linux Mint etc) is available and it is free for personal using. Using commercial or institutional is not allowed to use Bijoy Ekushe in Linux OS. See the full tutorial to install Bijoy Ekushe in Linux OS . If you have any problem or question on installing or writing in Bengali in Ubuntu, just comment. this blog's post to be updated on a regular basis. It contains nice information.